But public outcry ensued, and Governor Chris Sununu ordered the bears be relocated instead. The governor’s decision frustrated Fish and Game biologists, who argued relocating the animals may ultimately cause them more distress and did not guarantee a long-term solution. Still, they fitted the bears with tracking collars and moved them north last spring. Shortly after, a hunter in Canada shot one of Mink’s offspring, and Mink herself began a looping, frenetic journey home. Mink traveled thousands of miles over the summer and fall last year, before making a den in Pomfret, Vermont for the winter. 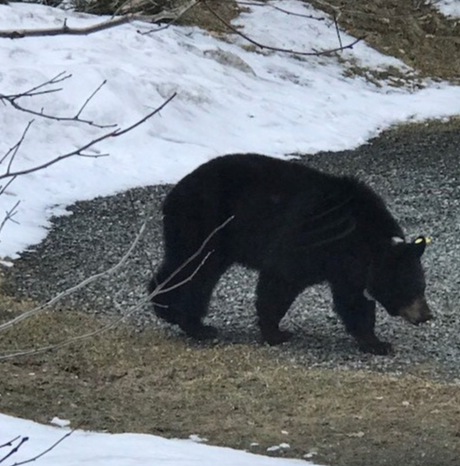 She traveled thousands of miles before making her way to a den in Pomfret, Vermont for the winter, said Andy Timmins, lead bear biologist with Fish and Game. She’s now out, looking for food, and was spotted this week in Woodstock. Timmins said there’s no need for alarm, but local residents should make sure, as always, that garbage is secured and birdfeeders are stowed away. Limited natural foods this spring and last fall will make bears more attracted than normal to non-wild food sources. Why Conflicts Between Humans And Bears Are Still On The Rise In N.H. 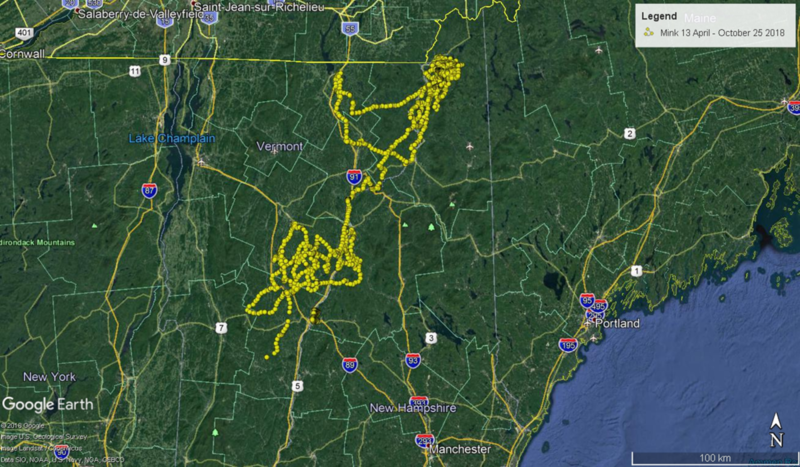 Conflicts between bears and humans in New Hampshire almost doubled this past year with about 800 reported encounters. Morning Edition Host Rick Ganley spoke with Andrew Timmins, a bear biologist for the N.H. Fish & Game Department, about this increase.